Show thumbnails and hyperlinks to the most recently viewed items much like eBay does it. 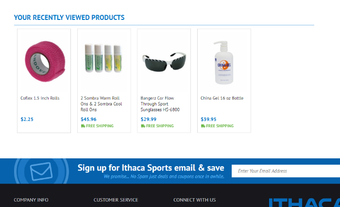 As you browse the site, items you visited are saved in a cookie and displayed (typically) at the bottom of the page. We can fully customize the look and feel of the recently viewed items to match the design of your site.